We like to promote a positive way of life. Okay, that sounds really ambitious but stick with us... We believe that lots of small positive actions can add up to one better future for everyone. We are seriously PRO nature. 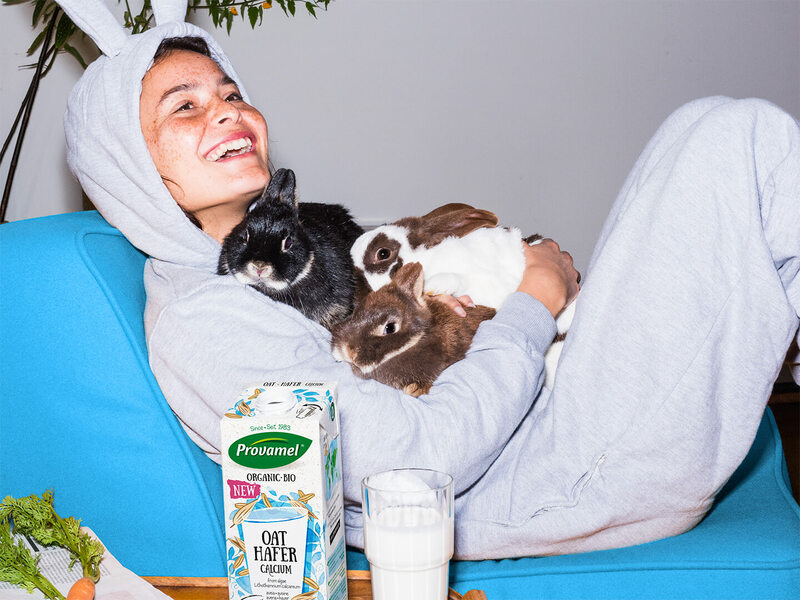 So much so, that all our products are plant-based and organic*. We respect nature and have strict rules for respecting the environment and animal welfare. Everything we make is organic* certified and GMO free, which means less pesticides and antibiotics in your body and our soil. Pro getting there greener. Ever since we started in 1983, we’ve been big believers in the power of plants. That’s why all of our products are 100% plant-based. The production of plant-based food requires less valuable resources.  In fact, compared to dairy milk, our soya-based drinks use 2 times less land, 4 times less water, and 2.5 times less CO2. 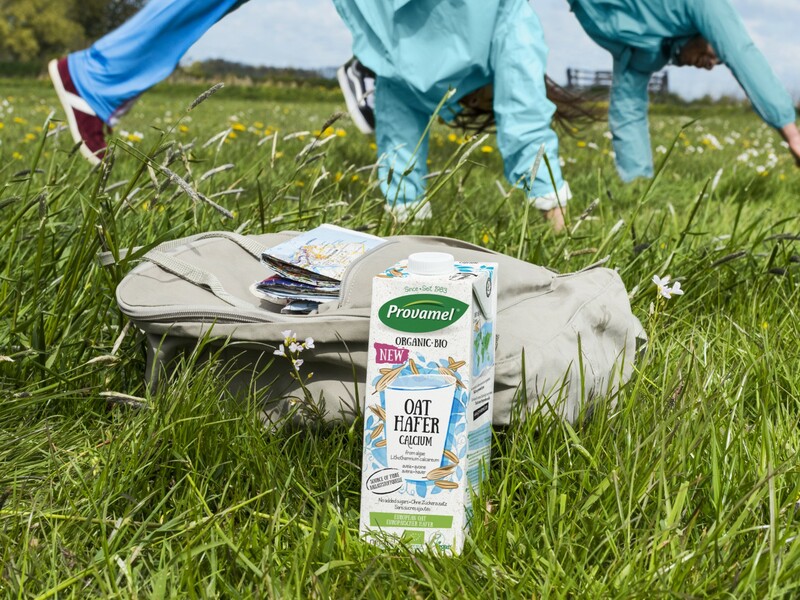 Provamel products are even produced in a CO2 neutral way. Yay plants! 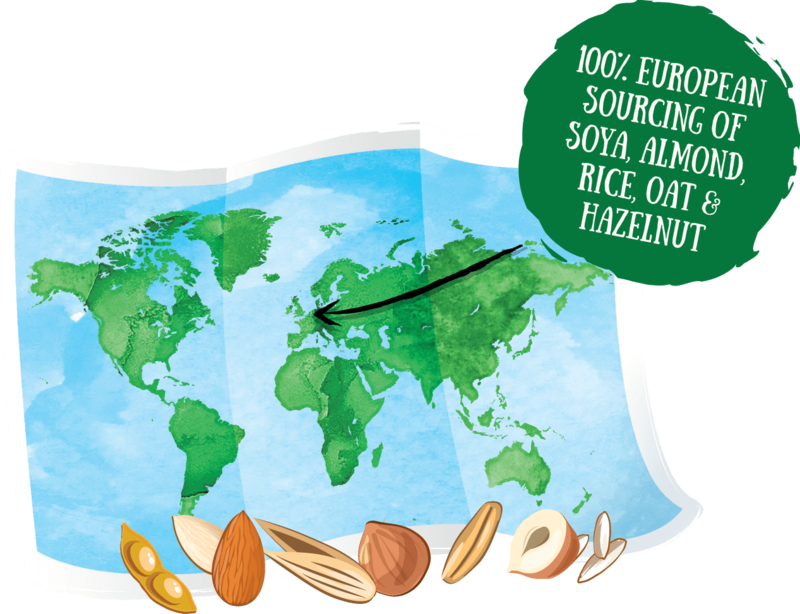 We like to daydream about tropical islands, but when it comes to sourcing our soya, oats, rice, almonds and hazelnuts, we choose small farmers over the global market & buy from local organic farmers in Europe. This way, we develop long and respectful relationships with our farmers, which ensures a safe and secure future for them and which guarantees us the best harvest. Pro keeping your friends close. We love all creatures great and small. 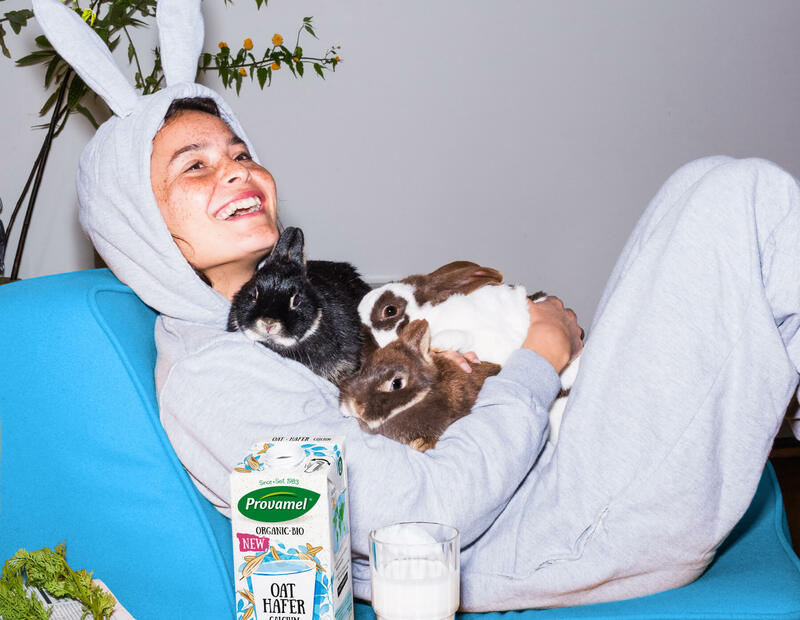 Since Provamel is 100% plant-based and vegan, you’ll find animals in our homes and on our laps, but never in our products.